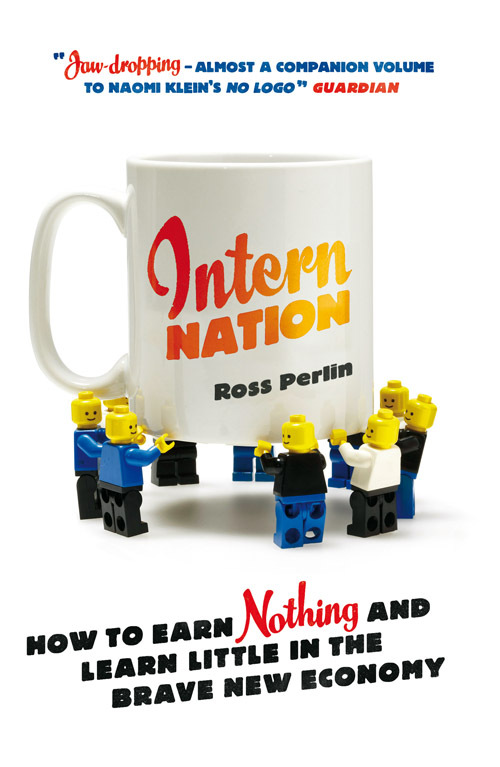 In light of the recent backlash against illegal internships, Ross Perlin's book, Intern Nation, has been met with renewed media interest. The New York Times recently reported that the anti-internship movement has spread to Europe, where growing numbers of interns and advocacy groups in the UK, France, Austria, Italy, and Belgium demand living wages and valuable work experience. We've seen an explosion of precarious and contingent work arrangements, of which internships are just one kind, including freelance work, the rise of temp labor, permalancers, permatemps -- a whole array of arrangements. And at the same time, there's been no regulation and no enforcement of the law. And so you're seeing a lot of industries pushing the edge of the envelope. Though unpaid internships have soared since the global economic recession, there is evidence that the trend may now be reversing direction as interns take legal action against their employers. Interns at Condé Nast, Fox Searchlight Pictures, and Atlantic Records have filed high-profile lawsuits against their employers for not adhering to minimum wage regulations. In June, a federal judge in New York found that Fox Searchlight Pictures' conduct was illegal. U.S.-style class action lawsuits are relatively rare in Europe, even in countries where they are legally possible. Still, European protests against unpaid internships are on the rise. Organizations such as Intern Aware in the United Kingdom, Génération Précaire in France and La Repubblica Degli Stagisti in Italy collect accounts from dissatisfied interns, offer legal information and resources, organize protests, and generate press coverage. Fundamentally, those who are doing internships will benefit because their work will be paid. Also young people from working class backgrounds who can't afford to work unpaid will benefit. But more broadly, there will be effects on the whole job market. This will represent a kind of real wage floor, which the minimum wage is intended to be, and those workers who have been displaced or in many cases replaced by unpaid labor, by unpaid interns, will benefit. And that's not just other young people. I mean, we have seen the entry level job become an endangered species, partly as a result of unpaid internships. But many older workers have also found that young people working for free, or working for a small stipend that amounts to less than minimum wage, are taking their jobs. During the days of the 2008-2009 recession, I heard of numerous cases of a company that would have a hiring freeze but still bring on unpaid interns. So the disappearance of the unpaid internship will have ripple effects -- positive effects for American workers across the board. Want to know who pays interns and who doesn't? Visit Unpaid Labor and Who Pays Interns?. Visit PBS to read the interview with Ross Perlin in full. Visit the New York Times to read the article in full.